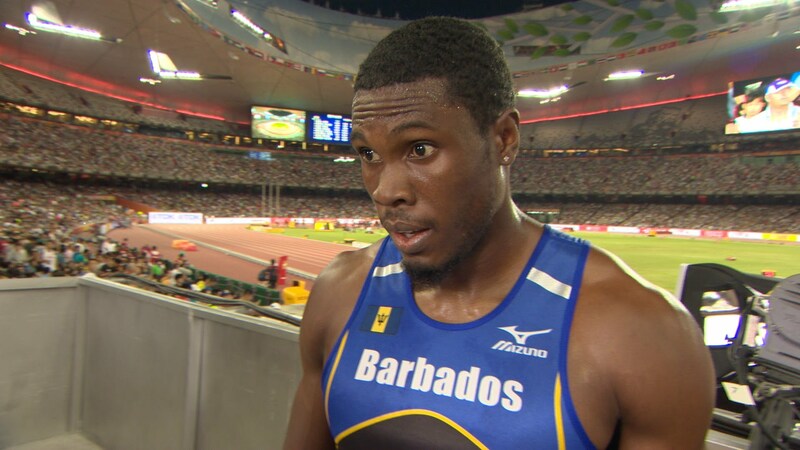 Team Barbados Rio 2016: Ramon Gittens (100 & 200m) – Barbados Olympic Association Inc.
Ramon Gittens was encouraged to take part in Track and Field by Alwyn Babb. He became BSSAC champion in the 100m and 200m while at the Lester Vaughn Secondary School. In 2001 at the CARIFTA Games in Trinidad he placed 3rd in the under 17 division. At the 2015 Pan American Games Ramon won a silver medal with a time of 10.07. Ramon’s favourite color is black and to relax he likes to listen to Reggae music. He doesn’t have a favourite artist but the best movie he has watched to date is John Wick starring Keanu Reeves.